Today, Thursday 26 February 2015, Michelin revealed its first dedicated Scandinavian restaurant guide. They awarded EKSTEDT restaurant in Stockholm 1 Michelin star, a confirmation of the award given in their 2013 European city guide. Swedish chef Niklas Ekstedt shows astonishing creativity, producing elegant food using long-lost cooking techniques and burning wood as his only source of heat. Precisely the opposite of molecular, modernist or futuristic gastronomy, the extraordinary restaurant experience delivered by his team, was rewarded in April 2013 when EKSTEDT was given its first Michelin star. 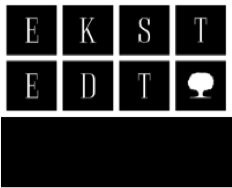 Since opening in November 2011, Restaurant EKSTEDT has received numerous awards for its way of presenting and preparing food. But it’s not an easy task managing the right amount of wood to maintain the perfect heat for each exquisite ingredients. Everything on the menu, from an Entrecote Flambadou with oysters and fired salad and Sweetbreads with smoked whitefish roe and apple to Cloudberries served with socca, is cooked over the restaurant’s magnificent fire pit, in the wood-fired oven or on top of the wood burning stove. No electric cookers, no gas-burners. The chefs also only use Scandinavian wood in order to give the food a truly unique character – one you can’t get anywhere else in the world. A set menu, consisting of four or seven courses, includes seasonal offerings of the region’s finest meat, seafood, fish, game and vegetables. Trademarks of the Nordic palate such as lingon berries, wild herbs, pine and wild mushrooms are transformed as ancient traditions meet modern Swedish cuisine. The wine list is just as ambitious – unique and as natural as possible to match the natural flavours of the food. AA Gill, The Sunday Times. March 2013. Situated in the heart of Stockholm, the interior is Scandinavian design at its best and takes inspiration from Niklas Ekstedt’s roots in both Jämtland in northern Sweden and Skåne in the south. In the restaurant’s warm and inviting atmosphere, guests can watch the chefs work by the magnificent fire pit where every order is prepared à la minute. Dinner at EKSTEDT is more than a meal, it’s a life experience. And it’s sizzling hot. EKSTEDT was named second in a ‘Ten Hottest Restaurants in the World’ list compiled by prestigious restaurant guide Zagat. EKSTEDT accepts reservations up to a month in advance. They can be made via its website. Born in 1978, Niklas was hailed a gastronomic Wunderkind when he opened his first restaurant at the age of 21. “Restaurant Niklas” in Helsingborg, a town in the south of Sweden, was an immediate success and won several awards. With characteristic energy, he celebrated his accomplishment with the opening of a summer restaurant in nearby Viken, a village by the sea; “Niklas i Viken”. Six years later, Niklas decided it was time to move to Stockholm and opened “1900”, focusing on Swedish ingredients and local traditional cuisine with a modern twist. It has since changed both its name to “Niklas” and its direction to embrace an international outlook. 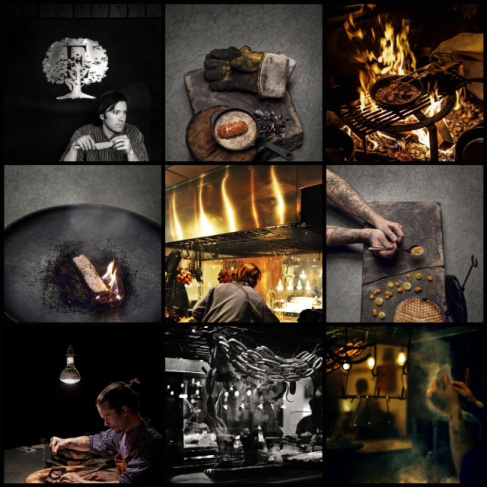 In search of further challenges, Niklas conceived the bold idea of creating a cuisine using only flames to cook with. After a number of technical issues “EKSTEDT” opened in 2011. Soon after, the restaurant was pronounced a smoking success and considered the talk of the town. It still is. Before starting his own restaurant business, Niklas worked for a number of world-renowned chefs, including Charlie Trotter in Chicago and Alain Ducasse in Paris. He also carried out a brief internship at Ferran Adrià’s elBulli in Spain. Niklas partly grew up in Järpen, a small village outside the famous Swedish ski resort of Åre. Following a serious back injury, he decided to forego being a professional snowboarder and chose to pursue his other passion in life- food. Since 2003, Niklas Ekstedt has hosted a popular cooking show on national Swedish television. His latest show Niklas Mat saw him visiting some of the world’s most exciting culinary destinations, meeting with Gaston Acurio, Inaki Aizpitarte and Enrique Olvera amongst others, along the way. He has also written four cookbooks, one of them published in English; “Scandinavian Classics” (Skyhorse Publishing). His first British published book Food from the Fire will be on shelves on 8 September 2016. It will be available on Amazon. Niklas lives in Stockholm with his wife and two children. This entry was posted in Ekstedt, Food & Art, Foods Blog, London Food PR, London Restaurant PR, Spoon Blog 2014, Spoon Loves and tagged Ekstedt, Niklas Ekstedt. Bookmark the permalink.